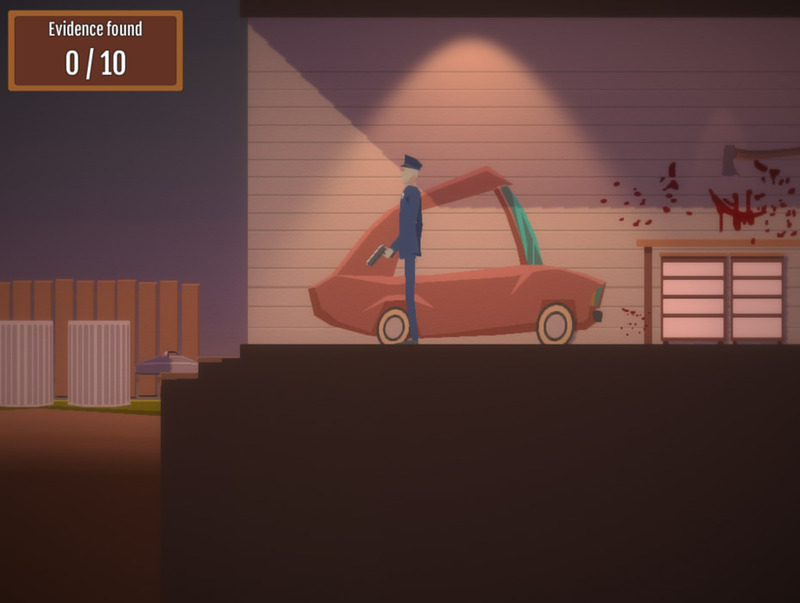 "A very interesting puzzle game where you have to try to clean up a crime scene!" Disposables is a rather Tarantino-esque puzzle game where after some kind of brutal gangland killing spree you must arrange the clean up before the police arrive and there is a lot to clean up, along with the few corpses scattered around there are also murder weapons and blood stains to be dealt with along with anything else that might tip the police officer off when he arrives. 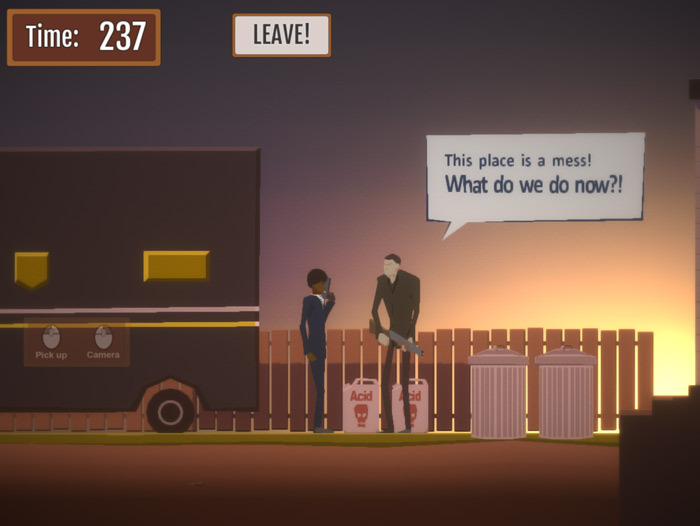 The game is not very easy and will require some lateral thinking and quick wits to get everything cleared up and tidied away before the cops get to the crime scene. 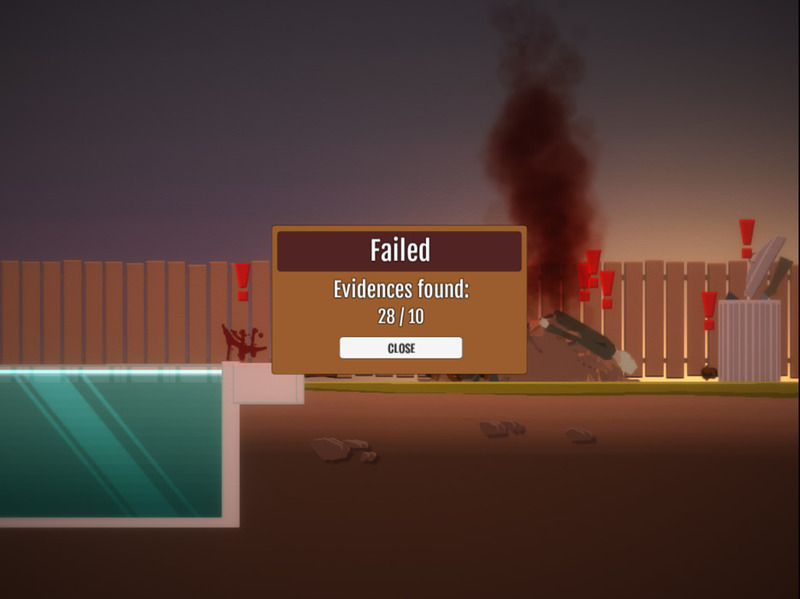 It can be a little complicated at first but once you get the hang of moving objects around it is easier however some things can be very frustrating like trying to work out how to pour acid and not being able to fit a dead body in to a trash can! The game has some very cool art styles though and you can see the Reservoir Dogs influence in the game by the clothes that the gangsters wear also be warned there is a lot of blood in the game although you don’t see how any of the victims met their gory demise. Disposables is a nice twist on conventional puzzler games and certainly is a bit of a break from the norm on occasion the mouse controls can seem a little unresponsive especially when trying to drag an item while trying to move the camera around which is something that you will need to do quite often to clear the scene of any incriminating evidence. You can download Disposables here for free.